To a great extent, the annual cycle of Tuomas Väänänen from Inari, Finland, depends on the movements of bears. He starts to observe them as soon as they have woken up from hibernation in the spring. Tuomas Väänänen is a 37-year-old teacher from Ivalo. For him, the great hunting opportunities of the area were one reason for applying for a job in the municipality of Inari. He began hunting by shooting ducks when still at school, and moved on to the more challenging goose hunt as an adolescent. Gradually, he also got interested in hunting for bigger game. Bear hunting became Väänänen’s main pastime at the latest when the bean goose was protected in Lapland, too, in 2014. Tuomas Väänänen recalls that he participated in a bear hunt for the first time in 2004. Bear hides play a central role in the decor of his row house living room. At the time of the interview, Väänänen sits on a hide of a bear he shot in Vuotso, Sodankylä, while a skin of a male bear decorates the wall and there is a hide of a female bear lying on the floor. On a chest of drawers, Väänänen has set bear skulls. He has shot many bears, but not so many that he would lose count. Väänänen comes originally from a bear region, the Salla municipality in Lapland. Still, something attracted the young hunter even further north, to Inari. When observing and tracking the movements of bears, Väänänen has become familiar with the wilds of Tsarmitunturi, Raja-Jooseppi, Vätsäri and Hammastunturi in Inari and the regions of Vuotso and Pokka in the neighboring municipalities. In Finland, the Ministry of Agriculture and Forestry uses quota hunting to regulate bear hunting in the reindeer-herding area. The quota is 75 bears in the eastern herding area and 20 in the western herding area. In all of Finland, the bear hunt is over at the latest by the end of October. In the eastern part of the reindeer-herding area, the hunt was over on 6 October when the last bear of the quota was shot. Of the bears shot in the eastern area this year, 36 were killed in Suomussalmi, 19 in Kuusamo, 11 in Inari, six in Salla and four in Savukoski. In the western herding area, eleven more bears can be shot. 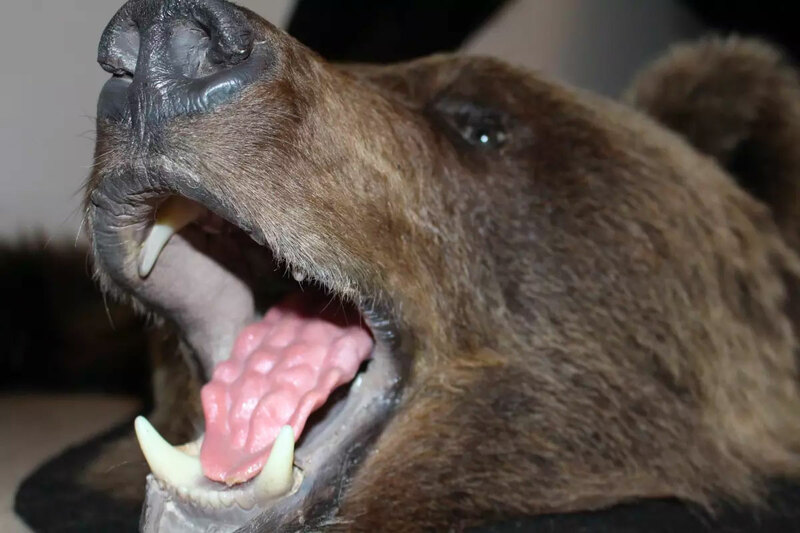 So far, nine bears have been shot there, with two of them shot in Posio and one in Taivalkoski during the first weekend of October. This hunting season, Tuomas Väänänen shot a bear in the vicinity of the Finnish-Russian border north of Raja-Jooseppi in Inari. Tuomas Väänänen begins to observe the movements of bears already in the spring when you can still ski. In summer, too, Väänänen pays attention to all the traces they leave and listens to where other people, for example fishermen, have made bear observations. «I spend most of my fall hunting. I do almost nothing else during the weekends in the fall, but sometimes I can even make a short hunting trip after work during the week,» Väänänen explains. Väänänen has three male dogs that hunt bears and moose. The dog is an important mate in the woods. According to Väänänen, the bear stock has stayed quite stable in Inari. The number of kills is about the same every year, and they take place in different parts of the municipality. But the most important thing is neither hunting for the bear nor being successful in it. «Here, each one hunts alone, just with the dog, or we might have a small group hunting together out there in the woods. I like to say that we go hiking in the woods, as we seldom kill anything. So more than anything else, we observe what goes on in the woods and learn more about the mental life of the Bear,» Tuomas Väänänen describes.